John Kenneth Muir's Reflections on Cult Movies and Classic TV: Saturday Morning Cult-TV Blogging: Korg 70,000 BC: "The Running Fight"
Saturday Morning Cult-TV Blogging: Korg 70,000 BC: "The Running Fight"
In “The Running Fight,” Bok (Bill Ewing) is bitten by a large spider while out hunting, and begins to act erratically and violently, threatening the family. 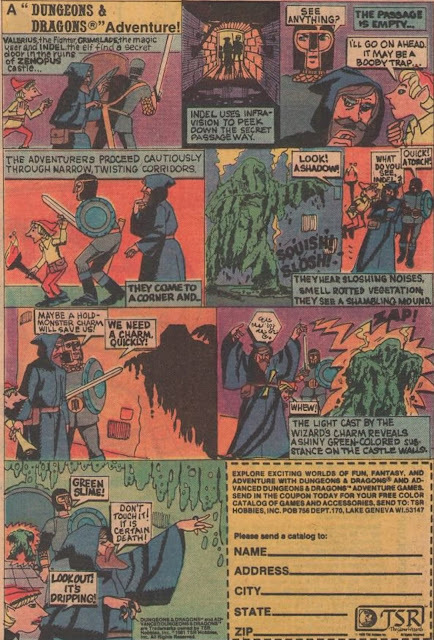 Korg (Jim Malinda) understands that the spider bite can do “strange things” to men, and uses himself as a distraction, allowing Bok to hunt him rather than the family until the venom in Bok’s blood stream weakens. 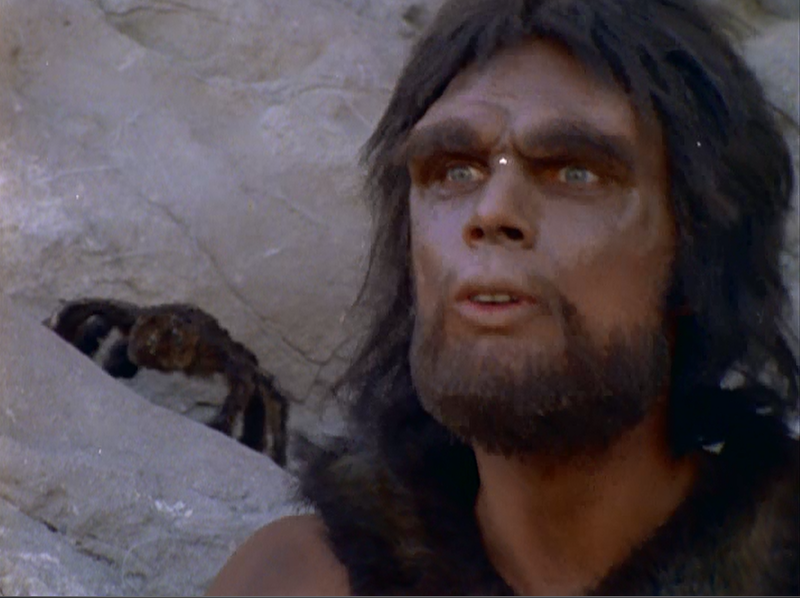 Penned by frequent Star Trek (1966 – 1969) author Oliver Crawford (1917 – 2008), “The Running Fight” is a solid episode of Korg 70,000 BC, except for the technical matter of a very fake looking spider. 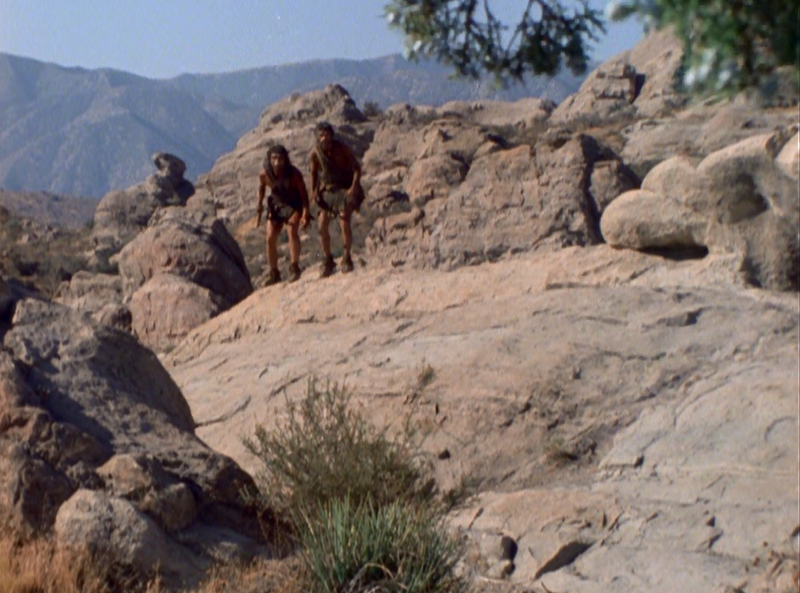 The installment opens in picturesque fashion at Vasquez Rocks, but never quite recovers from the appearance of the furry, immobile arachnid, which bites Bok on the face, over his eye. Bok’s red, swollen face looks much more convincing than the spider itself. 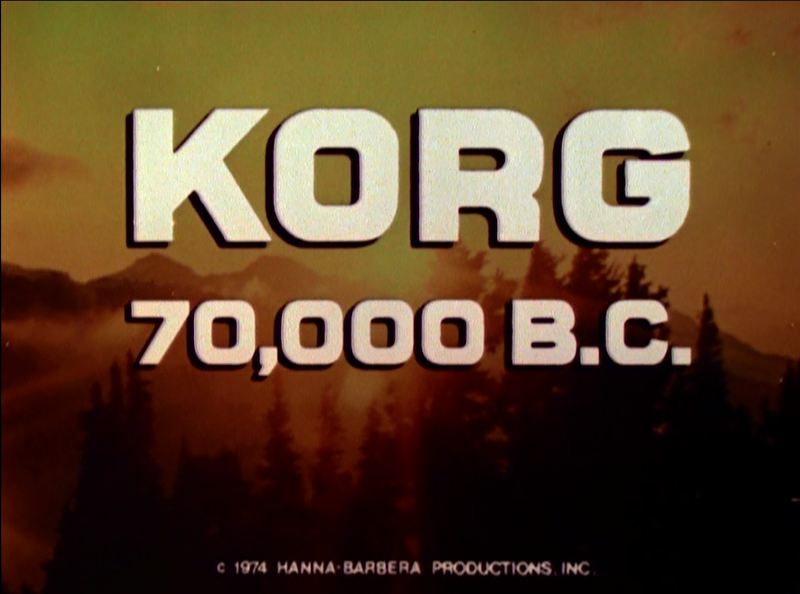 This is also the first episode, I believe, that has explicitly noted Bok is actually Korg’s brother, although I suppose it could be surmised from earlier segments. Clearly, Bok’s importance to the family -- as brother, uncle, and hunter -- means that he must survive the crisis more or less intact. This means Korg can’t harm him, and must risk being his quarry while he is in a deranged state. 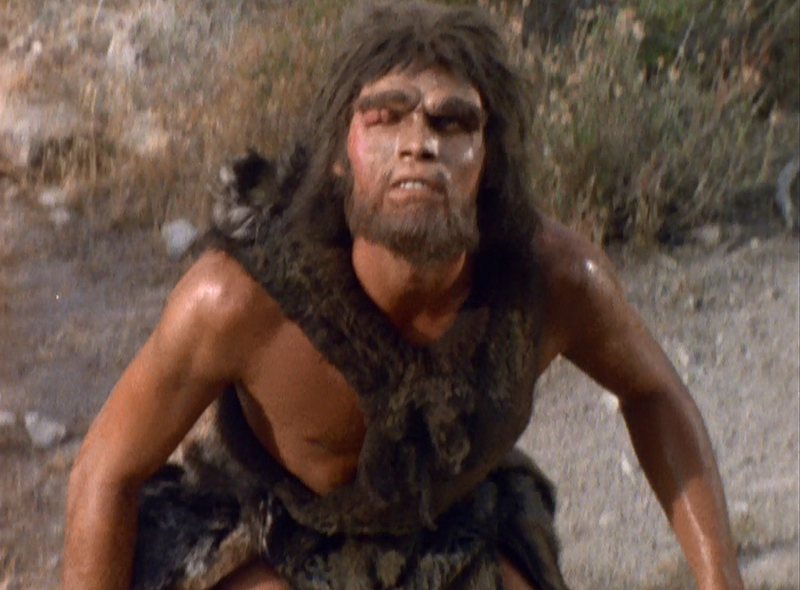 One nice element of this final chase is Korg’s decision to change directions so that the sun is in Bok’s eyes, slowing hi down during his pursuit. 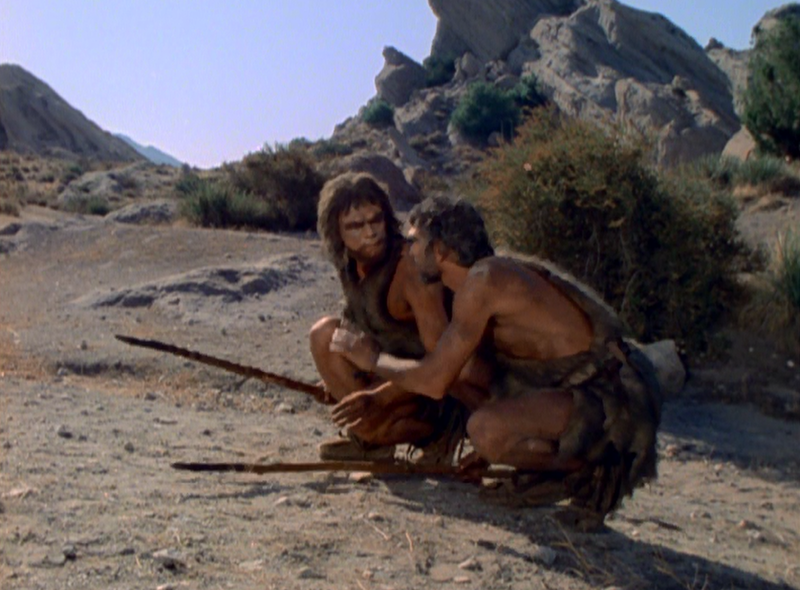 Narrator Meredith notes in this episode that “Neanderthal Man does not venture by himself except in extraordinary circumstances,” and it’s a sound byte that gets reused throughout the series. In terms of the threat of the week, the furry spiders which live in Vasquez Rocks, Korg 70,000 wasn’t on too fanciful ground. In 2011, a prehistoric spider fossil was discovered in Mongolia in 2011.The weird impact of the spider venom, however, causing Bok to forget his family and act violently, is all fiction.